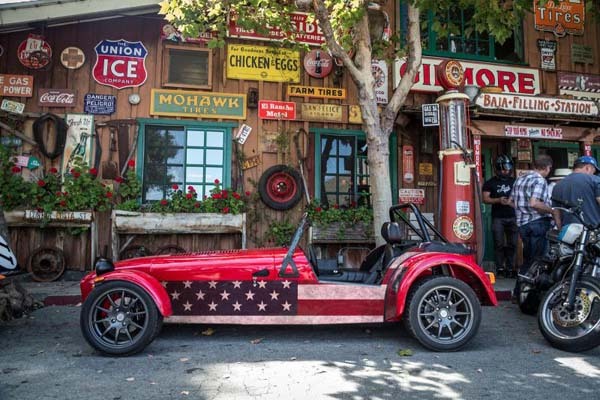 Caterham in the USA – read the article in our news section. 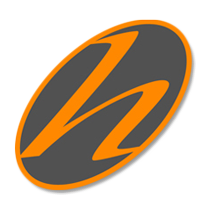 Join the Helluvit Sports Car Club Today – Membership is free! Club Helluvit members are an eclectic mix of petrolheads, car geeks and Sunday drivers, male and female: don’t worry, you’ll fit in! We are based in Bournemouth, but we are active along the South Coast and wherever there’s a great driver’s road. We organise sports car meets, road runs, our own mini sports car tours and we occasionally take part in track days and other motoring events. Our current members drive everything from Ferraris to MGBs and from the latest Porsche to the oldest Alfa Romeo! 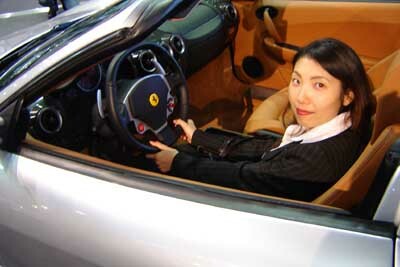 The only entry qualification is that you drive a sports car, GT car or sports coupe! (Sports bikers are also welcome). We believe that Helluvit is the only all-marques sports car club in the area, although we would like to hear from you if you know different. Find out how to join the club – here! Subscribe now! Please send an email to David Jones at info@reddragon.org.uk if you would like us to send you a regular email with details of our sports car club events. (Normally once a month). We will then add you to our mailing list and keep you updated about forthcoming events. Total membership is now 523 members. Please invite your friends to join the club and come along on our monthly sports car road runs and join us for a chat at our sports car meets. Join us on Sunday 24th March for the next Helluvit Meet. 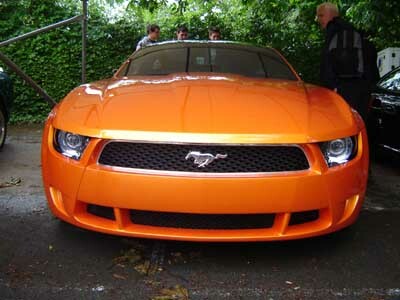 Sports Car Meet at the Forest Inn at Ferndown Forest Golf Club. Join us at 10.00 hrs for a coffee or a breakfast and a chat at the Forest Inn at Ferndown Forest Golf Club. Address: Forest Links Road, Ferndown. BH22 9PH. (This is next door to the large Police station off the roundabout that feeds onto Ferndown Industrial Estate. Given the proximity of the Boys in Blue, I would advise against drifting around the roundabout! Please drive like you didn’t steal it!). Please contact David: info@reddragon.org.uk or mobile phone: 07966578999 to let us know if you are planning to come so that we have an idea of likely numbers. We hope you can make it – it would be great to see you! Sunday 28th July, 2019: Meet at Highcliffe Castle Tea Rooms at 10am. There will also be a display of classic cars on the lawn – including several cars owned by Helluvit members. Have fun but drive carefully! Best wishes! Join us – Just for the Hell of it! It would be very helpful if you could contact the club to let us know if you are planning to join us. Please send an email to David at: info@reddragon.org.uk or send a text to 07966578999. Call this number on the day if you would like to meet up and can’t find us for any reason. 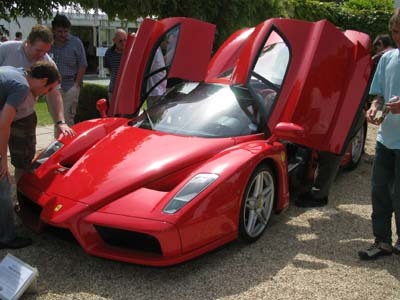 Visit our events pages for reviews and photos of our recent sports car road runs and meets. Please keep an eye on the website and e-newsletters for more details of our events (and possible changes to the calendar). 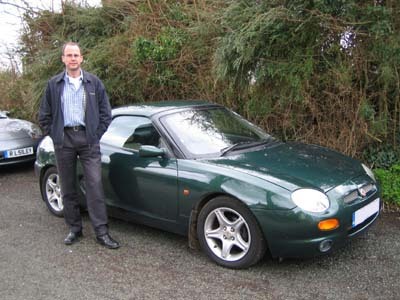 Is it time to get the MX5 back on the road? Is it time to polish up the Porsche? Is it time to rag your Radical? Is it time to hoon along the south coast of England in your Honda NSX? Come and join us: we’d love to meet you! Please note that all of our sports car road runs, meets, tours, trackdays and other motoring events are dependent on the weather and the general driving conditions: please check with the organisers before setting out! Please drive carefully! Carolyn’s Lamborghini lures its next victim. 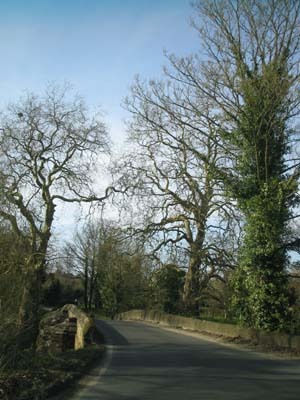 Driving through the Meon Valley. Would you like to take part in – or sponsor – a future Helluvit event? Remember, there’s no charge to members for participation in our monthly road runs: just come along! But if it’s a picnic, remember to bring some food and a frisbee! Or if it’s a Road Run or Rally, bring enough money to buy yourself a coffee and a snack! You can also sponsor each issue of our newsletter, which is sent out to all of our subscribers. Contact David Jones for more information about sponsorship opportunities. David Jones on a sportscar road run to Netherhampton. Monthly sports car road runs and other events – free membership! Helluvit is sponsored by Red Dragon Motorsport (UK) – International PR and Marketing for the Automotive and Motorsport Industries. All text and images on the main pages of the website (unless otherwise indicated) are the copyright of Red Dragon Motorsport (UK). Images on the news pages are copyright of the motor car manufacturer featured in the news story, unless otherwise indicated.